The spectacular performance of Aam Aadmi Party in Delhi Assembly elections (November 2013) has changed the perceptions and anticipations about the forthcoming general elections to be held in 2014. It has also led to rethink about the equations of electoral politics in general. While BJP emerged as the single largest party and could have staked claim to form the Government, it refrained from that. AAP, after an initial hesitation, went in for opinion taking exercise, and decided to cross the obstacles of being a bit short of majority and formed the Government. 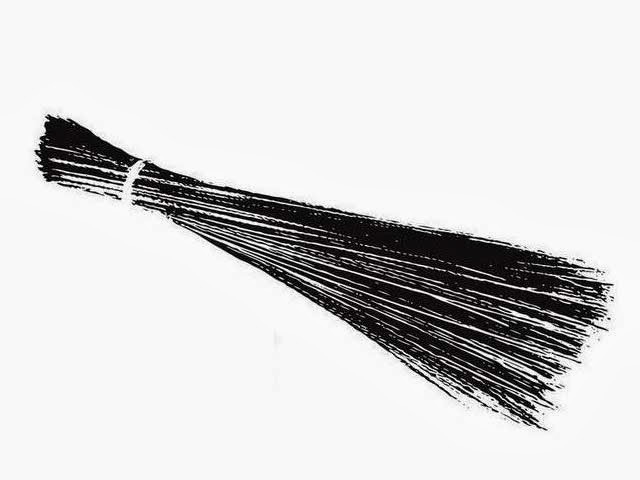 Before we go to the scenario created by the results of the elections and AAP’s forming the Government, let’s have a bit of the peep into the circumstances which led to emergence of AAP. The anti-corruption movement launched by Arvind Kejrival with Anna Hazare as the face of the movement, was a spectacle, which shook the system. It was strongly supported by all and sundry, from the Khaps, to the MBA-IT middle class to builders and traders amongst others. It had the solid backing of RSS in the major process of mobilization of the people. The upsurge came to challenge the very parliamentary system, and it was touch and go for survival of the Parliament, which survived this pressure from the Anna-Kejrival led movement. Bringing in of the Lokpal bill to curb corruption was at the centre of the movement. The future trajectory of this was interesting as there was a clear emergence of two streams from the movement. One was the stream, which wanted to target only Congress, as articulated by Kiran Bedi and the other was the one led by Kejrival, which broadened the target to corruption all around. The latter stream led to formation of AAP and its deciding to begin it journey from Delhi Assembly elections. It took up the ‘municipal issues’ bijli, pani, (electricity, water) in particular and went whole hog to drill the point in Delhi. AAP wore its sincerity on its sleeves and was able to reach to the Aam Aadmi, in the jhuggi jhopdi’s (pavements, slums), addressing their pain and anguish about the rampant corruption at all the levels. The result was that the section of Delhi citizens unhappy due to the rising prices, and other problems of daily living shifted from supporting Congress to AAP. AAP could marginally erode the BJP-RSS base as well. Its main base was from the traditional Congress supporters. It is quite likely that many people who might have wanted to vote for them did not do so, as it was AAP’s first foray into elections. With their victory the message is clear that AAP is being seen as the major alternative to present dominant parties. This is also testified by the huge avalanche of those wanting to become members of AAP and also volunteering to work for this party. Meanwhile so far, the electoral script was dominated by Narendra Modi, who through the sustained propaganda of ‘development of Gujarat’ built up an image of a strong leader who has delivered results in Gujarat, rose to be the Prime Ministerial aspirant, backed by BJP and its parent RSS. Modi had more or less succeeded in putting his role in Gujarat carnage under the carpet; this exercise of his has been aided by the partial presentation of facts of Gujarat by SIT and upheld by Metropolitan magistrate. Through carefully constructed public meetings and helpful media, Modi started gaining momentum as the potential victor in the next elections. The careful management of social media was on one side projecting him in the illuminating light, on the other side Team-Modi-BJP-RSS was targeting Congress and Rahul Gandhi with full blast. The proposal for the tall statue of Sardar Vallabh Bhai Patel, run for unity and other events were the add-ons for Modi’s electoral campaign. AAP’s emergence and the realization that it may not be a mere ‘one go’ phenomenon, the strategists in Nagpur head office, RSS top brass and Modi’ team have changed the strategy. Now their major fire is directed against AAP. Social media and other word of mouth propaganda is going full barrel against Kejrival, Prashant Bhushan, Yogenra Yadav and Company. Prashant Bhushan’s balanced statement that the opinion of people of Kashmir should be taken about the army deployment in Kashmir, met with a hostile response. AAP office was ransacked by Hindu Raksha Sena, whom AAP blames to be the outfit of RSS-BJP. Kejrival himself disassociated with that statement is another matter at present. The threat being perceived by the secular democratic forces, that Modi’s becoming the Prime Minister will herald the era of fascism seems to have been blunted partly at the moment due to the unprecedented response being received by AAP. How much of this is true, one is not sure. There are multiple factors working on both the sides. RSS-BJP-Modi is not going to keep quiet about the rising perceptions and image of AAP. The big Corporate see their interests with Modi coming to power, as he has kept the coffers of public money and facilities open for them, as no one else can do. The media controlled by them is also currently partly favorable to AAP. In 1998, when BJP re-emerged as a single largest party, the opportunist political formations came to support it on various grounds. Mercifully, Modi was not there. Mercifully his right hand man Amit Shah was not there, then. Mercifully BJP did not have too much of a lead and had to accommodate the wishes of its allies, while pushing forward the agenda of RSS-Hindu Nation. This time around if Modi emerges as a single largest formation, equations will be different as now BJP has the background experience of having ruled once; Modi will have different tricks up his sleeve. While so far escaping the arm of law, he is the one who had a role in Gujarat carnage, there have been fake encounters in his state, there has been a case of snooping on a young girl and now there is an attempt to implicate the human rights defenders like Teesta Setalvad and others. So Modi is different. BJP under him will be more assertive, in case they manage to come to power. What is the politics of AAP? The politics of parties is judged by their actions and by their pronouncements, manifestos. There is not too much of writing by AAP on its politics, it does have a vision document of sorts. It emerged out of anti corruption movement. The movement was based merely on the symptom of the deeper disease of social-economic-political system. The underlying disease of the system has not been addressed. The parties, which are for social change, for the agenda of the downtrodden and deprived have generally emerged from the longing to have a better system, have a theory. Indian National Congress had the need to engage with the British colonialism and articulated nascent Indian Nationalism; Bhagat Singh aspired for socialist state (Hindustan Socialist Republican Association). Ambedkar began with Independent Labor party as he identified the depressed classes with workers, and went on to lay the foundation for Republicanism, Republican Party of India. Muslims elite dreamt of Muslim state and had Muslim League while section of Hindu elite wanted Hindu Nation so had Hindu Mahasabha and RSS. Various socialist parties have also emerged in the recent times. AAP seems to be a different experiment. As AAP itself is a party in making, its leadership may be thinking that its ideology will emerge, through movement and through introspection. Though so far on the issues like Kashmir it has snubbed its own leader for expressing something, which expresses an ideology related to the type of Nation state we want. On Education its proposed policy is parochial. On most of the serious issues its vision document is silent. The task of party building seems be very promising and challenging both. The major question is can it overcome its superficial approach and apply itself and stick its neck out on contentious issues related to economic policy, national policy, social and gender justice. There are lots of expectations in the air, time alone will tell as to which side the party marches overcoming the initial hiccups and enjoying the immunity of ‘honeymoon period’ at the same time.